Sandra Lopez, Head of Outreach Services at Round Lake Area Public Library, has gained personal courage to own her Latina identity, embrace her virtues and empower others by sharing her story. Sandra Lopez learned quickly at an early age how to bridge the cultural gap between the world her parents knew back in Mexico and the one she has known her entire life in Chicago, IL. From her early childhood years refilling salt and pepper shakers in her family’s restaurant and translating complicated medical terms at doctor’s visits during her brothers’ diagnosis of Autism, Sandra has been on a mission to gain personal courage in the face of her own fears. From the troves of hangers, jackets, and heavy leathers, an avid reader, Sandra, would get her first big opportunity, as a frequent customer encouraged her to apply to the library. “It was the one place that I could get free education and homework assistance because of the language barrier at home.” She interviewed for the position, received an offer, and developed a deep passion to promote library services to underprivileged communities through The Cook Memorial Library Bookmobile. Although a college-bound Sandra would leave the library scene for many years during her studies at Northeastern Illinois University, the formidable experience would remain long after. 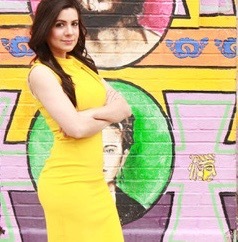 After graduating, Sandra was promoted as a Multicultural Representative at MillerCoors, leading a team of ten members. 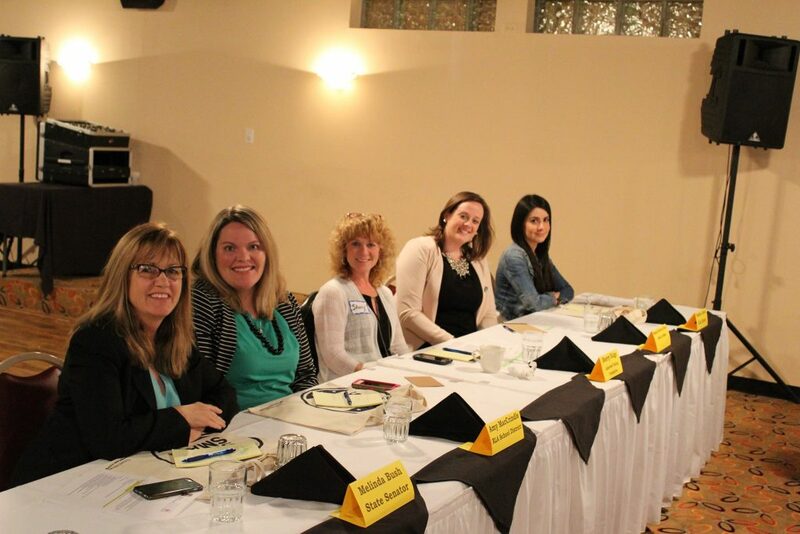 Selected as a panelist for a Women’s Empowering Business Event, Sandra courageously decided it was time to step out of the typical panelist presentation style to forge strong bonds with community leaders. As a result of truly opening up and connecting with her audience on a recent panel at a Women’s Business Empowerment Event, Sandra has received six speaking invitations in the past two weeks. Sandra is currently studying to receive a Masters of Library and Information Science at The University of Wisconsin (U of M). If Sandra’s story reminds you of a young Latina in your life that is holding back for whatever reason, we invite you to encourage her to enroll in The Latina Mastery Institute’s FUERTE Program. Preparing our young Latinas to be strong/fuerte is our priority. Join us! 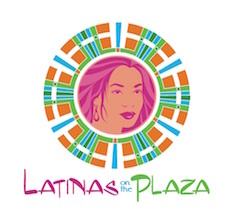 Click HERE to contact Luz Canino-Baker, Founder of The Latina Mastery Institute or submit an application (Located on the right side of this page). Who is the Truth Teller In your life? Have you been offered a seat on a rocket ship? We made over 100 shoe boxes of toys for Samaritan¹s Purse.